In a news release dated April 16, 2014, the authorities of the Crater of Diamonds State Park, Arkansas, announced the discovery of a significant white diamond weighing 6.19 carats, the largest white diamond discovered in three years, since the 8.66-carat, Illusion Diamond was discovered in April 2011 by Beth Gilbertson of Salida, Colorado. The marquise-shaped, jelly-bean-sized, rough diamond, a clear unbroken crystal, is the 15th-largest diamond found at the Crater of Diamonds State Park since 1972, the year the site became an Arkansas State Park. 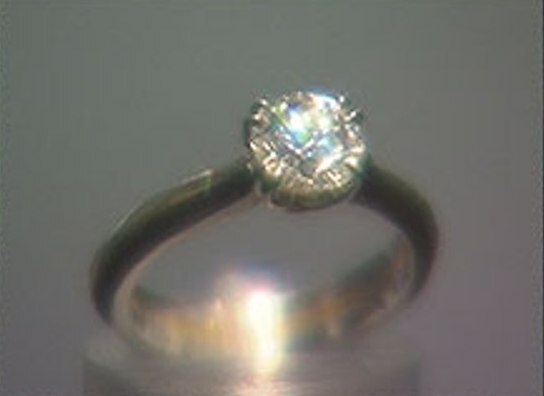 The diamond was discovered by David Anderson, a regular visitor to the park and diamond prospector, since 2007. 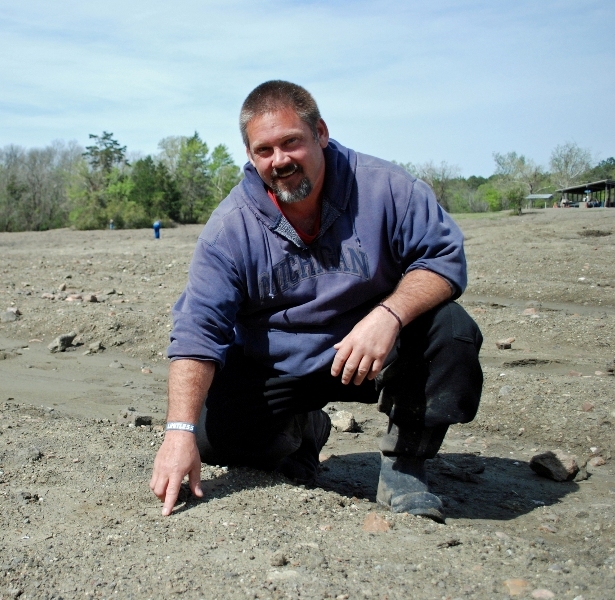 David Anderson first learned of the Crater of Diamonds State Park when he saw Arkansas’s diamond site featured on The Travel Channel’s “Best Places to Find Cash and Treasures.” His curiosity aroused, David Anderson first visited the park in 2007. Since his first visit, he developed a love for diamond hunting and became a regular visitor to the park, calling Murfreesboro his home and searching the park’s 37 ½-acre search area regularly for diamonds. 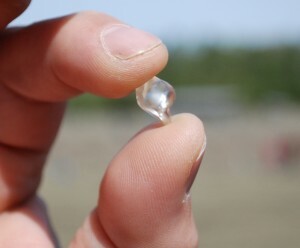 During the seven-year period he searched for diamonds, David Anderson had discovered more than 400 diamonds in the park, and his latest discovery on April 15, 2014 is the largest discovered so far. He discoverd the diamond in the East Drain area of the search field. However, unlike other diamonds which took David Anderson much longer time to discover, the 6.19-carat white diamond, took a relatively short period of only four hours to recover. This was mainly due to the heavy rains that fell over the weekend over the search area, and Anderson beginning his search on the first sunny day following the rain. The regular ploughing of the diamond search area by park personnel bringing freshly eroded diamond ore to the surface, followed by a heavy downpour that washed away the lighter soil and dirt away, leaving any heavy rough diamonds on the surface, was the ideal condition created by nature, for visitors to find diamonds right on the surface of the search area. Anderson named his clear, white marquise-shaped diamond the “Limitless Diamond” after the 2014 motto for the charitable organization “Speed the Light.” He plans to donate proceeds from the sale of this diamond to “Speed the Light,” a Christian youth charity. The search area of the Crater of Diamonds State Park is the eroded surface of the eighth largest diamond-bearing deposit in the world, 37 ½-acres in extent, ploughed regularly to expose freshly eroded diamond ore, to help the diamond hunters. It is the world’s only diamond-producing site open to the public to scout for diamonds for a fee, adopting the policy of “finders keepers,” allowing visitors to keep what they find. The park staff also provide free identification and registration of diamonds. Apart from this the Park’s interpretive programs and exhibits explain the site’s geology and history, and offer tips on recognizing diamonds in the rough. In addition to diamonds, semi-precious gemstones and minerals are also found in the park’s search area including amethyst, garnet, peridot, jasper, agate, calcite, barite, and quartz. Over 40 different rocks and minerals are unearthed at the Crater making it a rock hound’s delight. An average of two diamonds are found in a day by park visitors. The colors of the diamonds found are mainly white, brown and yellow, their frequency of discovery also taking place in the same order. A total of over 75,000 diamonds have been unearthed at Arkansas’s diamond site since the first diamonds found in 1906 by John Huddleston, the farmer who at that time owned the land, long before the site became an Arkansas state park in 1972. 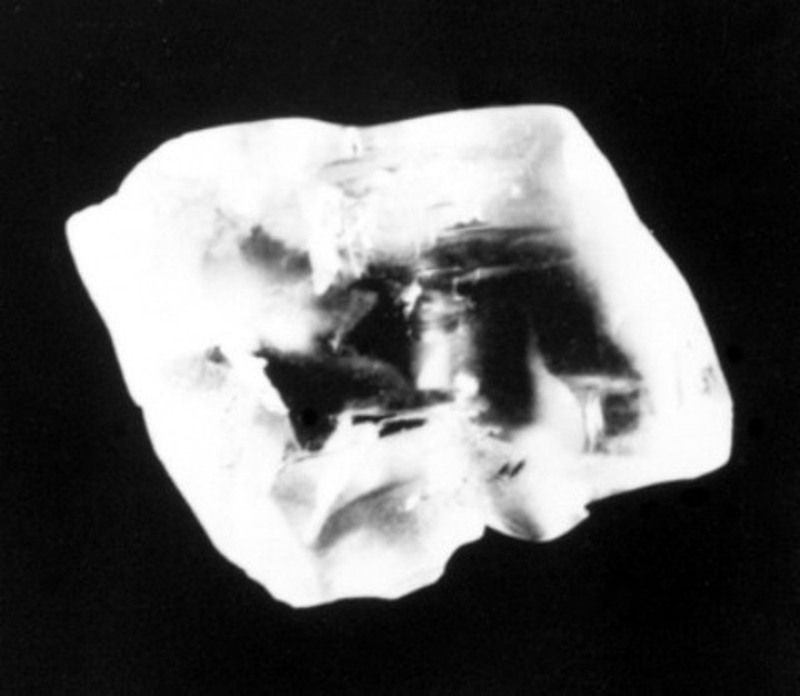 The largest diamond ever discovered in the United States was unearthed here in 1924 during an early mining operation. 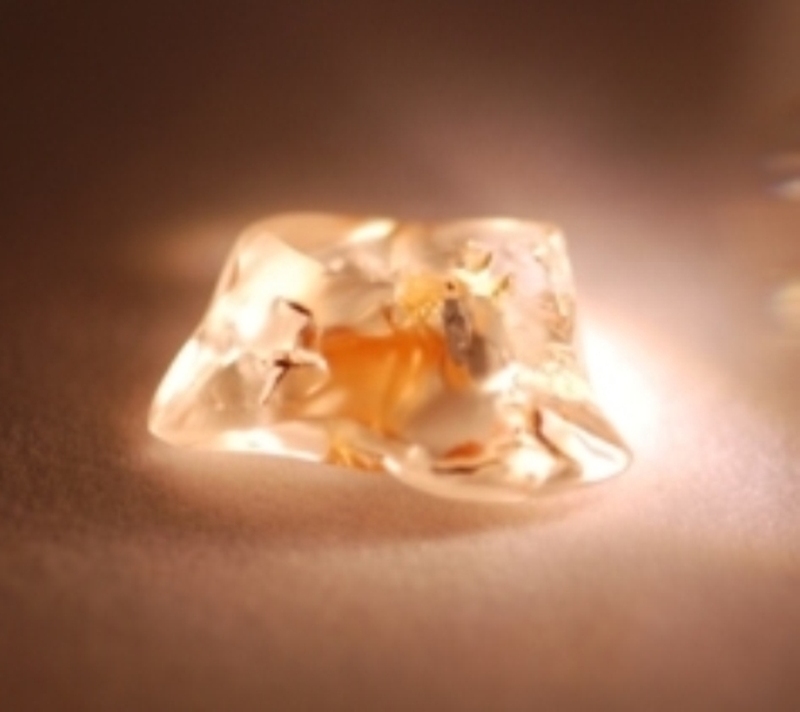 Named the Uncle Sam, this white diamond with a pink cast weighed 40.23 carats. Notable diamonds found by park visitors since the state park was established at the site include the Amarillo Starlight, a 16.37-carat white diamond discovered in 1975 which ranks as the largest diamond ever found by a park visitor. The second largest find by a park visitor is the Star of Shreveport, an 8.82-carat white gem unearthed in 1981.
the 1.09-carat D-flawless Strawn-Wagner Diamond.A notable diamond from the Crater of Diamonds that has received much national attention is Discovered in 1990 by park visitor Shirley Strawn of Murfreesboro, this white gem weighed 3.03 carats in the rough before being cut to perfection in 1997 by the renowned diamond firm Lazare Kaplan International of New York. The gem is the most perfect diamond ever certified in the laboratory of the American Gem Society. It is on display in a special exhibit in the Crater of Diamonds State Park visitor center. Another gem from the Crater is the flawless 4.25-carat Kahn Canary diamond that was discovered at the park in 1977. This uncut, triangular-shape gem has been on exhibit at many cities around the U.S. and overseas. 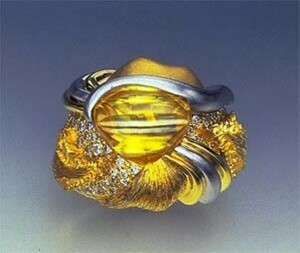 It was featured in an illustrious jewelry exhibition in Antwerp, Belgium, in 1997 that included precious stones from across the world, including the Kremlin collection, the Vatican, Cartier, and Christies. 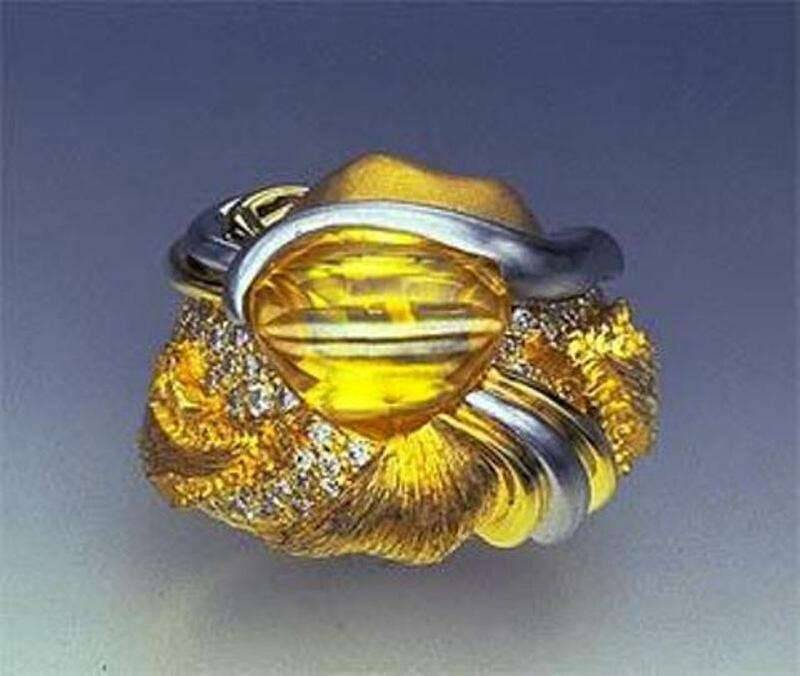 And, in late 1997, the Kahn Canary was featured in another prestigious exhibition at the American Museum of Natural History in New York entitled “The Nature of Diamonds.” Former First Lady Hillary Clinton borrowed the Kahn Canary from its owner, Stan Kahn of Pine Bluff, Arkansas, and wore it in a special, Arkansas-inspired ring setting designed by Henry Dunay of New York as a special way to represent Arkansas’s diamond site at the galas celebrating both of Bill Clinton’s presidential inaugurals. Kentucky Man Discovers a 2.95-carat Champagne Brown Rough Diamond, the Largest Rough Diamond Discovered so far this year at the Crater of Diamonds State Park, Arkansas.